Can I Park My Cart Here? I set up my business 5 years ago and it was a seasonal business specializing in all things Christmas. It included jumpers, decorations, kid’s treats and everything jolly for the festive season. 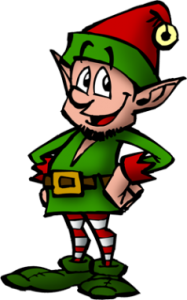 Each year between September and December I would open my doors and literally resemble one of Santa’s elves trying to ensure everyone had their order in time to make their house ready for the big man’s arrival. The first year started off mainly through friends and colleagues and a lot of visits to industrial estates knocking on offices and hoping one would make an order. Use of social media was fantastic way of getting my products out there and led to a large uptake of my products. It led me to setting up a website and allowing customers to make orders online. As the business grew so did my stock levels and ideas for new products. 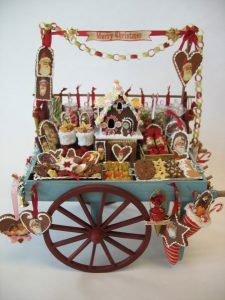 Last year’s big seller was a Christmas box including a different selection of products etc. I had to source everything from different manufacturers and had items arriving almost hourly by courier to my house. I had neighbours watching out for delivery drivers in case I would miss them while I flew out and did the school runs so I could make up the orders quick enough to get them back out in time. Last year I was given the opportunity to operate a Christmas cart in the middle of a large shopping centre in Dublin. It had a fantastic footfall and led to a massive jump in sales which I was delighted about. The cart I designed was fantastic and I loved it. I could display all my products but I had no space to store additional products. I approached the shopping centre about the possibility of a small store room. The fees were huge and enough to make trading about covering the rent rather than making a profit. I was starting to run into a few problems with deliveries too as I spending more time operating the cart I was constantly missing deliveries to the house and simply couldn’t ask my neighbours for another favour with all the boxes they had already collected for me. Then the unexpected struck about mid-November when I realized that although the cart was fantastic I had no idea where I was going to put it when I closed up on Christmas Eve. During the festive season the shopping centre allowed it to be stored onsite. The cart’s wheels came off and when empty could be stored flat, but even still would not be something my already overcrowded house could fit. I sat down with a pen and paper and began to write down what I needed, somewhere to store my cart between Jan and September, somewhere to store stock, somewhere that could accept deliveries on my behalf, somewhere that was accessible 24 hours and somewhere that was secure. I looked at a local property sites, the option of acquiring an office, the option of hiring a stock room and nothing seemed to make any sense. It was when I fired up the laptop and typed in storage that Space popped up. The more I read the more I thought this could work. I picked up the phone and called Darren and I made a plan to visit the facility in the coming days. It was perfect, it had 24 hour access, they could accept my deliveries, I could have racking in the unit to split out my stock, and it was big enough to store the cart. My unit was in a building that was behind a security gate and there was cctv everywhere I looked. I had access codes to access the building wherever I needed. It was perfect. Another happy Space Storage Customer!